Can it be used to treat demodectic rosacea? At least one person thinks so. This was posted initially at Facebook, Rosacea Tips and Support Group, by Karli Walton who writes, "People are using horsepaste (ivermectin) for their mites, ivermectin is also in sooIantra. I haven’t tried either. 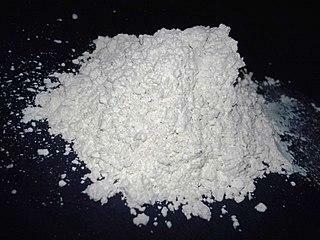 You can also use diatomaceous earth powder mixed with honey. I use the powder on my dogs for their mites and fleas. It’s natural and won’t hurt you. Just keep in mind with any of these things, that it will get better before it gets worse. When you put it on, the mites start freaking out before they die." Karli probably meant it 'gets worse before it gets better.' Without a doubt, since it was posted on Facebook, others will try this and we receive more reports since you can obtain food grade diatomaceous earth below and other mediums besides honey will be attempted and the results will be coming in.